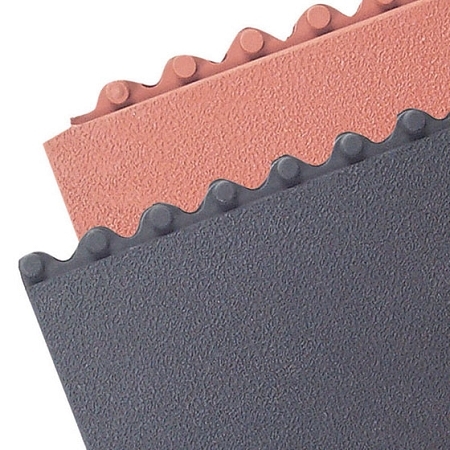 The 556 Cushion-Ease Solid Floor Mat is manufactured from a tough rubber material resistant to chemicals, oils, and greases while also providing fatigue relief to allow standing at work for longer periods of time. 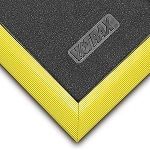 This safety mat easily snaps together for joining of multiple floor padding of this same model and is fully compatible with NoTrax M.D. Ramp System for on-site custom configurations. A hose and some mild detergent will have your floor padding looking like new again. This floor covering is available in two different colors.